Item number Sf447 from the MOA: University of British Columbia. 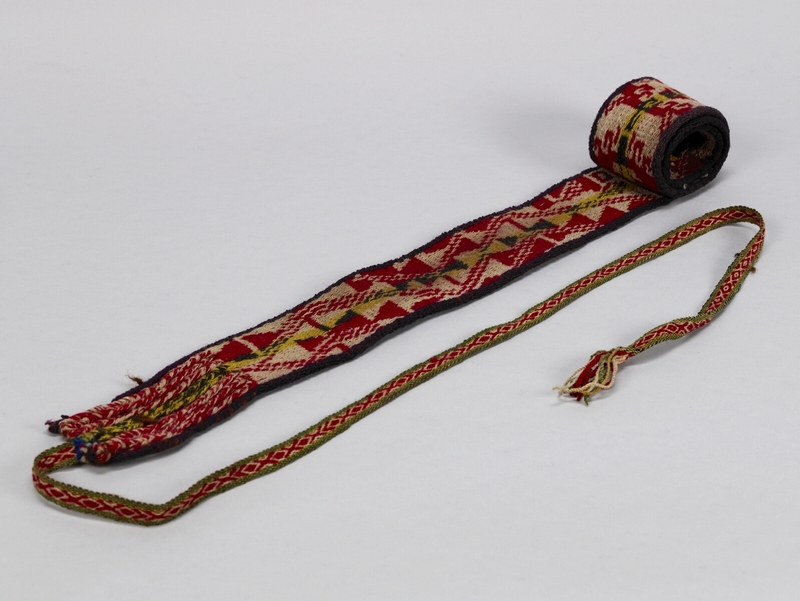 Woven, wool belt consisting of a red and light brown geometric design of triangles, diamond, lines and stylized figures. Running through the centre is an alternating yellow and black geometric pattern. 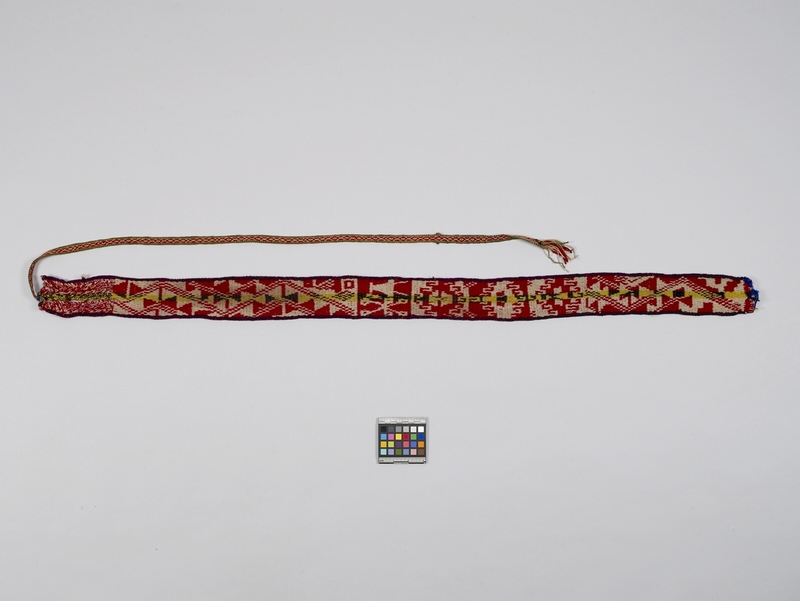 The belt is bordered by a dark red stripe. There is a woven tie at one end.